Weddings are a time for families to come together and celebrate love, old and new. As you start planning your wedding, it’s easy for those closest to you to get nostalgic and remember their own weddings. You might even hear stories from Mom and Grandma about their weddings that you’ve never heard before! 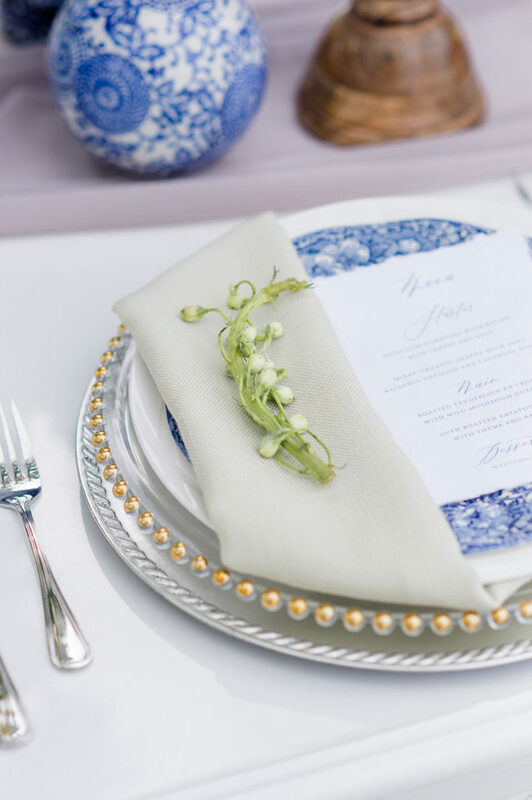 You probably know the beloved mantra, “Something old, something new, something borrowed, and something blue.” Incorporating family heirlooms in your wedding is a wonderful way to carry on (or start!) a family tradition and make sure you get your “something old.” Not sure how to include family heirlooms in your wedding day? We’re here to help. Jewelry passed down from generation to generation is something many families treasure. Whether it’s a pair of earrings, a pearl necklace, a special watch, or a beautiful brooch, jewelry is one of the most popular ways to include family history and heirlooms in your wedding. Maybe you’ll wear your grandmother’s diamond watch, just as your mother did on her wedding day. Or you might wear the necklace that your dad gave your mom when they got married. 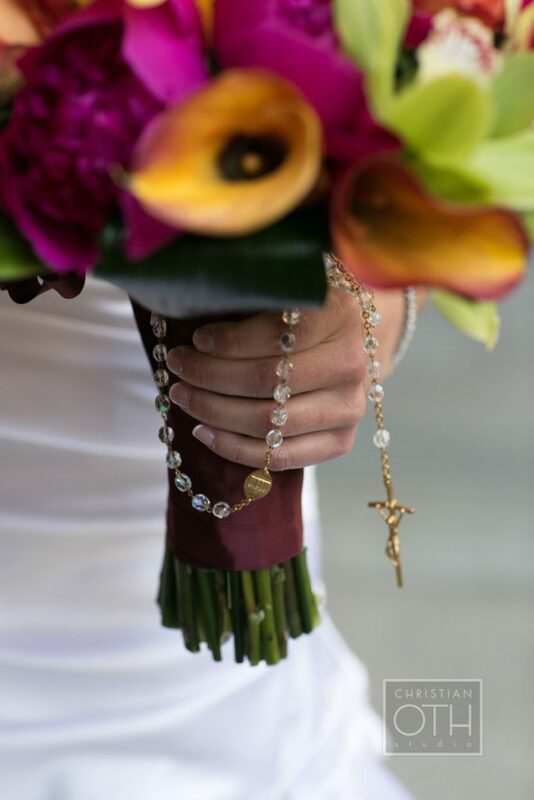 If the heirloom piece you want to incorporate isn’t quite your style, you can ask us to tuck it into your bridal bouquet for you to carry down the aisle. Heirloom jewelry isn’t just for the bride, either! 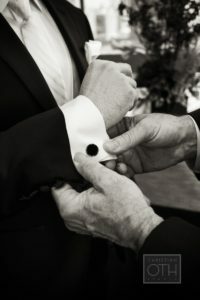 The groom might wear an heirloom watch or cuff links to give him a sentimental touch on your day. Maybe you’re planning to wear your mother or grandmother’s wedding dress. But even if you aren’t, have you thought of ways to include those heirloom bridal pieces in your wedding? Wearing a headpiece or veil passed down from a family member can be a wonderful touch to make your dress feel more like you. Another popular idea is using beads or pearls from a family member’s dress in your own. Ask your dress alterations team to sew those heirloom beads into the lining of your dress in the shape of a heart or even your wedding date. We have worked with many brides to show off their beautiful heirloom linens in a way that complements the style of their weddings. Use linens passed down from a great-great-grandmother to enhance your reception tables, or give guests handmade quilts from mom for the ceremony if you’re getting married in crisp fall weather. If you’re having a big wedding, it might seem impossible to incorporate heirloom dishes into your reception. But heirloom dishware can be a beautiful, personalized touch for your reception, no matter how big or small it is. Think about using champagne flutes from your grandparents’ 50th wedding anniversary celebration for your toasts or put your bridal bouquet in a beloved vase on your sweetheart table during the reception. If you’re worried about heirloom glasses or dishes getting broken, you don’t have to forgo them completely. Use the pieces in a more decorative way that reduces the chance they’ll get damaged. Some families don’t pass down things like jewelry, dresses, or dishes. But that doesn’t mean that you can’t incorporate beloved family traditions in your wedding! Traditions come in all shapes and sizes, so think about what makes your family special. Did your grandmother love roses? Or maybe your future husband’s grandmother was always in the kitchen baking pies? Use roses in your bridal bouquet and centerpieces as a sweet nod to your grandma’s love of the blooms, and consider serving up pie for dessert to honor your fiance’s grandma, too. No matter what family heirloom you hope to use in your wedding, we can help you make it a reality. At Nickie Jones Events, we love taking those things that mean the most to you and weaving them together in a special way. Your wedding is a celebration of love and family, and there’s no better way to capture the traditions and heirlooms.